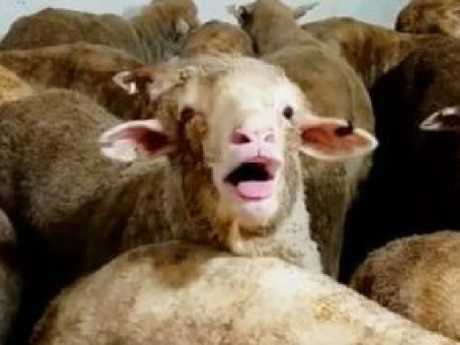 THE Australian live export industry is under fire after footage of Australian sheep, cramped together and dying aboard a squalid live export ship, has shone light on the "shocking" failures of the industry. The officer told Nine Network's 60 Minutes program that crew fainted while the sheep, unable to leave the boat, were essentially being "put in an oven". Agriculture Minister David Littleproud told Today the footage "shocked me to the core" but could not guarantee another ship that failed an inspection was set to leave Australia. "This is outside my realm. Unfortunately the department who is the independent regulator gets to make the determination and I'm asking serious questions about making sure there is enough comfort around any further shipment going out," Mr Littleproud said. "The ship I understand is at Fremantle. There are around 50,000 sheep waiting to be boarded on to that ship once approvals have been granted, but approvals have not been granted at this stage." Today host Karl Stefanovic said the footage was "disgraceful and it is an embarrassment, not just to this country, but surely an embarrassment to the people looking after those ships". He then said the people responsible for the cruelty should be "run out of town." Mr Littleproud responded: "Karl, I've been Minister for three months. This is the first one of these incidents I have had. "I intend to make sure we are a fair country, everybody gets a fair go, but the reality is as I said earlier, if standards haven't been breached here today, then really the standards aren't good enough. "If they are not, I intend to work collaboratively. I'm meeting with Animals Australia and the RSPCA and the industry today to get a way forward." "It's so distressing." Animals Australia, which investigated the footage and took the case to regulators, said the conditions have been accepted by the industry for decades. "Sheep producers will be mortified to discover that animals born into their care have ended up literally being cooked alive on live export vessels," Animals Australia's Lyn White said in a statement. Mr Littleproud said he was "shocked and deeply disturbed" by the vision. 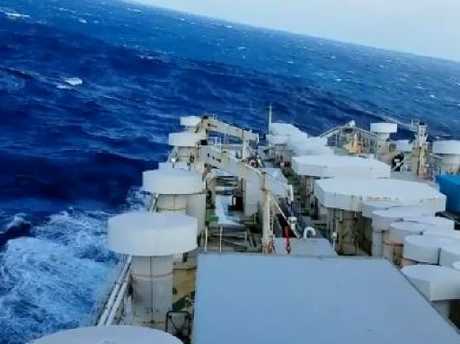 "This is the livelihood of Australian farmers that are on that ship - that's their pride and joy," he said in a video statement posted on Twitter. "And it's total bulls*** what I saw taking place." He said he would take "strong action" against exporters, regulators or crew who failed to fulfil their responsibilities.